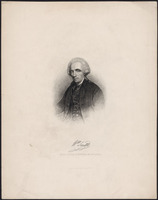 CARLETON, GUY, 1st Baron DORCHESTER, army officer and colonial administrator; b. 3 Sept. 1724 in Strabane, Ireland, third son of Christopher Carleton and Catherine Ball; m. 21 or 22 May 1772 Lady Maria Howard, third daughter of the 2nd Earl of Effingham, in Fulham (London), England, and they had 11 children; d. 10 Nov. 1808 at Stubbings House, near Maidenhead, and was buried in St Swithun’s Church, Nately Scures, England. The Carletons, originally from Cumberland County, England, but resident in Ireland since the beginning of the 17th century, belonged to that Protestant Ascendancy which has so well supplied the British army and colonial service. When Guy Carleton was about 14 his father, a modest landowner by Irish standards, died, and the following year his mother married the Reverend Thomas Skelton, who supervised the boy’s education. On 21 May 1742 the 17-year-old Carleton was commissioned an ensign in the 25th Foot (Rothes’s) in which he became a lieutenant three years later. On 22 July 1751 he joined the 1st Foot Guards as a lieutenant (with the army rank of captain); on 18 June 1757, having become aide-de-camp to the Duke of Cumberland, he was made captain-lieutenant in his regiment (and a lieutenant-colonel in the army); and on 24 Aug. 1758 he was appointed lieutenant-colonel of the newly formed 72nd Foot. Meanwhile, he had acquired a champion in James Wolfe*, who in 1752 recommended him as military tutor to the young Duke of Richmond and six years later requested his services for the siege of Louisbourg, Île Royale (Cape Breton Island). Reportedly annoyed by Carleton’s disparagement of the German mercenaries, however, George II demurred, and it required the intervention of William Pitt the elder and Lord Ligonier, the commander-in chief, before Wolfe could obtain the quartermaster general and engineer he wanted for the assault on Quebec. During that campaign Carleton, who had received his appointment together with a colonelcy in North America on 30 Dec. 1758, was responsible for setting up an advance base on Île aux Coudres and a fortified supply depot on Ile d’Orléans. He also conducted an amphibious operation at Pointe-aux-Trembles (Neuville), returning with intelligence, some provisions, and more than 100 Canadian civilians who had been evacuated from Quebec. On the Plains of Abraham he commanded the 2nd battalion of the Royal Americans (60th Foot), which was one of three battalions deployed under Brigadier-General George Townshend at the left of the British battle-line. The head wound he received while pursuing the enemy may explain his leaving the colony in October 1759. If he had not performed spectacularly, he had done well enough, retaining the esteem of Wolfe and acquiring another patron in Vice-Admiral Charles Saunders*. Between 1759 and 1763 Carleton participated in two more campaigns. On 8 April 1761 he was seriously wounded in an attack on Port-Andro, on Belle-Île-en-Mer, off the northwest coast of France; and on 22 July 1762, while acting in Cuba as quartermaster general to the army under the Earl of Albemarle, he suffered another wound in the siege of Havana. Having been made a colonel on 19 Feb. 1762, he transferred two years later from the 72nd Foot to the 93rd, and on 3 Oct. 1766 became a brigadier in North America. On 7 April 1766 he was named “Lieutenant Governor and Administrator” of Quebec, but since Governor James Murray*, who had been recalled to London, remained officially in charge, Carleton was not commissioned “Captain General and Governor in Chief’ until 12 April 1768. His appointment is hard to explain: he had no experience in civil government and only a limited acquaintance with the situation in Quebec. 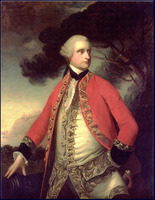 On the other hand, he did have powerful connections: George III, who welcomed the nomination of such a “galant & Sensible Man,” favoured him throughout his career; Henry Seymour Conway, who as secretary of state for the Southern Department had chosen him, exercised considerable influence in the Rockingham administration; and the Duke of Richmond, his former pupil, would shortly take over the Southern Department. 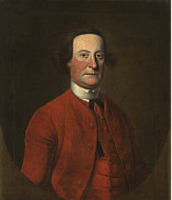 Several members of the succeeding Grafton and North governments would also lend him their support – particularly Lord Shelburne, who followed Richmond as secretary of state; Sir Charles Saunders, who served briefly as first lord of the Admiralty; and lords Hillsborough and Dartmouth, who consecutively held the secretaryship for the American Colonies after its creation in 1768. 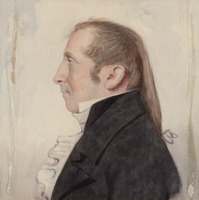 Thus although he became involved in an acrimonious and eventually disabling feud with the next Colonial secretary, Lord George Germain, Carleton enjoyed the inestimable advantage, which Murray had lacked, of a solid political base at home. Conditions were also opportune inside Quebec. With indisputable command of all the troops in the colony, the new governor was spared the dissension that had characterized his predecessor’s dealings with Ralph Burton*. He could rely on Hector Theophilus Cramahé*, who continued as civil secretary and, thanks to Carleton, was to become the acting receiver general, a judge of the Court of Common Pleas, president of the Council of Quebec, administrator of the colony, and finally lieutenant governor. Both the first chief justice, William Hey*, and the attorney general, Francis Maseres*, were able lawyers who, although dissenting from Carleton’s subsequent recommendations, supported his initial policies; and while the second chief justice, Peter Livius*, was to prove troublesome, another attorney general, William Grant*, would provide effective assistance. Most propitious of all, the merchants, many of whom had become disaffected to the colonial administration under Murray, were showing good will. Whether or not Carleton genuinely sympathized with the commercial interests, he did make a few gestures in their direction. Shortly after his arrival at Quebec, on 23 Sept. 1766, he agreed to study the representations of those who, like John McCord, wanted to see fewer restrictions on the fur trade and fisheries, and he was soon recommending the removal of restraints in the western territory; he suspended the introduction of English bankruptcy laws, to which several merchants had objected; he endorsed the leasing of the Saint-Maurice ironworks to a group of businessmen that included such notorious malcontents as James Johnston* and George Allsopp; and he not only suggested, to no avail, that the former be made a councillor, but insisted on the reinstatement of the latter as deputy provincial secretary and assistant clerk of provincial enrolments arid of the council, positions from which Allsopp had been suspended by Murray. At the same time, whether from motives of policy or in reaction to their resentment over his succession, Carleton apparently wanted to distance himself from some of Murray’s closest advisers. In any case, he was determined to establish control over the council, which had in effect been substituted for the assembly promised in the Royal Proclamation of 7 Oct. 1763. A second incident enabled Carleton to tighten his control. In November Thomas Walker*, whose protests over the acquittal of his assailants in the episode that had precipitated Murray’s recall led to his case being reopened, prevailed on the authorities to arrest six new suspects, including judge John Fraser, and refused to give the necessary consent to their being allowed bail. When certain councillors not only signed a petition requesting the governor to intervene but also took part in a public demonstration, Carleton used the occasion to bring them to heel. Whether he really judged it necessary, as he explained to Shelburne, “to make some Example, thereby to deter all from such Disorders; and particularly to convince the Canadians, such Practices are not agreeable to our Laws and Customs,” he dismissed Mabane and Irving. The result was all he could have wished for, and probably what he had been trying to achieve: a cowed and submissive council, and a chance to chart a new course for Quebec. Although prejudiced against Murray’s henchmen, however, Carleton soon came to appreciate his reasoning. As early as 25 Nov. 1767 he informed Shelburne that most of the “old Subjects,” whom he characterized as “disbanded Officers, Soldiers, or Followers of the Army . . . Adventurers in Trade, or such as could not remain at Home,” would probably leave the province within “a few Years.” In contrast, the “new Subjects,” who “multiply daily,” would become relatively even more numerous, so that “barring a Catastrophe shocking to think of, this Country must, to the end of Time, be peopled by the Canadian Race. . . . But it was not numerical proportions, cultural differences, or even social merits that preoccupied Carleton: his principal concern at this time seems to have been, rather, security. Fearing that the French might yet return, apprehensive of a revolt by the habitants, and nervous about the growing dissension in the Thirteen Colonies, he had, according to his own calculations, only 1,627 troops and 500 British immigrants with whom to face 76,675 conquered people (including some 7,400 Indians). It was not merely just but politic, then, to rule the colony in a manner acceptable to the overwhelming majority – so that “the Canadians are inspired with a cordial Attachment, and zeal for the King’s Government.” And the surest way of doing that, as Murray had seen, was to rule them indirectly, through their “natural” leaders, the seigneurs and clergy. Accordingly, Carleton went out of his way to conciliate the former, proposing that they be made eligible for seats in the council, given administrative positions, offered commissions in “a few Companies of Canadian Foot,” and even compensated (through an increase in the price of liquor licences) for the cessation of their French stipends. 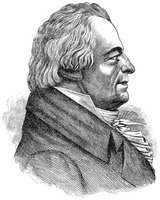 In particular, he supported those who, like Joseph Deguire*, dit Desrosiers, felt they were being victimized; recommended pensions for others, such as Jean-Baptiste-Marie Blaise Des Bergères de Rigauville, who had been given appointments by Murray; and secured positions for the ones, including Blaise, Gaspard-Joseph Chaussegros* de Léry, Joseph Fleury* Deschambault, Louis-Joseph Godefroy* de Tonnancour, Luc de La Corne*, Claude-Pierre Pécaudy* de Contrecœur, François-Marie Picoté* de Belestre, Charles-François Tarieu* de La Naudière, and Thomas-Ignace Trottier* Dufy Desauniers, who were willing to serve the British crown. Carleton also extended the concordat arranged between Murray and Bishop Jean-Olivier Briand*, thereby not only gaining the cooperation of the Roman Catholic hierarchy but exercising some influence in ecclesiastical affairs. 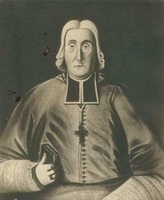 Having “made a Point of attending to the Motions of all the Clergy, both Secular and Regular, to Study the Character of the Men,” he encouraged Jean-Baptiste Curatteau*, who in 1767 had begun the secondary school that was to become the Petit Séminaire de Montréal; he helped Sister de l’Assomption [Marie-Josèphe Maugue-Garreau*] to purchase the fief of Saint-Paul for the Congregation of Notre-Dame in Montreal; and he defended the Jesuits against charges by the renegade priest Pierre-Joseph-Antoine Roubaud* that they were remitting “considerable Sums” to France. Most important, he effectively ensured the continuance of the episcopacy by approving the appointment of a coadjutor, despite Hillsborough’s refusal to authorize one and at the cost of Dartmouth’s subsequent disapproval. 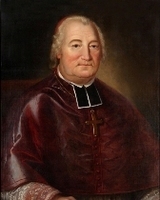 Indeed, it was his candidate, Louis-Philippe Mariauchau* d’Esgly, who, in accordance with the governor’s wish to see Canadians preferred, became the first native-born bishop, an 12 July 1772. If the British régime were to be made acceptable, however, ordinary Canadians would have to be looked after as well. 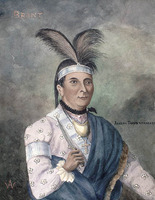 To help the economy Carleton promoted the production of grain, hemp, flax, potash, and iron; opposed the prohibition of Canadian manufacturing, which some merchants thought would reduce the sale of British goods; obtained permission for fur traders, such as Daniel-Marie Chabert* de Joncaire de Clausonne, to travel among the Indians; recommended that Canadians be employed as guides and interpreters on exploring expeditions; sustained their claims to the winter seal fishery off the north shore of the St Lawrence; and insisted that they had as much right as the British to indemnification for the paper money issued by the French government before the conquest. He was also interested in social reform: under his guidance the council passed ordinances to repair the highways, to prevent and control fires, to regulate bakers and river pilots, to license public houses, and to check the offering of credit by innkeepers; following his recommendation to Shelburne in December 1767, preparation of a draft ordinance, and repetition of his recommendation in March 1768, the British authorities agreed, in July 1771, that all new land grants should be conferred in seigneurial tenure only; and both the collection of fees by officials and exercise of power by the justices of the peace were limited. Carleton strongly objected to the British fee system, under which salaries were supplemented by emoluments for particular services. Declaring that “as there is a certain Appearance of Dirt, a Sort of Meanness in exacting Fees on every Occasion, which seems still stronger from the Novelty, and by comparison with the former Government, I think it necessary for the King’s Service, that his Representative, at least, should be thought unsullied,” he publicly renounced all the perquisites attached to his own office. Then in December 1767 he advised Shelburne “that none of the Principal Officers of Government and Justice, neither Governor, Judge, Secretary, Provost Martial, or Clerk of the Council should receive Fee, Reward or Present from the People.” Apart from the question of whether fees could be legally altered by executive action, their abolition would have required much higher salaries, which the British government was simply unable to pay. But although Carleton could not eradicate the practice, he did manage to restrict it, obtaining permission from Hillsborough “to restrain the Fees of Office within some settled and certain Bounds,” getting the council to determine them, dismissing officials who overcharged, and even persuading the home authorities to increase salaries. In response to complaints about the justices of the peace, Carleton appointed a committee of inquiry, which confirmed that they often exceeded their authority, and were particularly prone to taking lands in execution, or even committing to prison, “for the payment of ever so small a debt.” An ordinance was therefore passed on 1 Feb. 1770 to transfer jurisdiction over all cases involving private property, as well as disputes entailing sums of less than £12, from the justices of the peace to the Court of Common Pleas. This law also provided Montreal with its own Court of Common Pleas, replaced the English practice of legal terms with the French tradition of continuous sittings, regulated executions against property in cases of debt, and limited the fees for bailiffs. 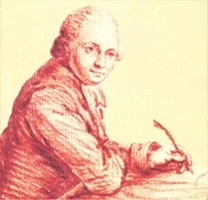 However, the offence taken by the justices (including Pierre Du Calvet*, who had originally criticized his colleagues), together with the remonstrance drawn up by Charles Grant on 21 April 1770, signified the need for a general review of the administration of justice. Carleton seems to have already concluded that the anglicizing policy implicit in the proclamation of 1763 ought to be mitigated, if not discarded. As early as December 1767 he told Shelburne that Murray’s ordinance of 17 Sept. 1764 had gone too far in implementing the English legal system, and that it would be advisable to “leave the Canadian Laws almost entire.” Two years later, in September 1769, on the basis of reports by Maurice Morgann, who had been sent out from England to investigate the situation, and Chief Justice Hey, who took issue with some of Morgann’s findings, he rejected Maseres’s opinion that anglicization should be hastened. Instead, he advocated precisely the opposite: while some English laws and practices – the criminal law, habeas corpus, jury trials for personal actions, the “custom of the merchants” in commercial cases, and the laws of trade and navigation – might continue, in all other respects the French system ought to be restored. Furthermore, the bailiffs should be dismissed, the militia officers given back their civil authority, police magistrates appointed in every town, weekly courts held in each district, and the legislative authority of the governor and council affirmed and enlarged. To support these views, Carleton sent home an abridgement of the French laws prepared by his French-language secretary, François-Joseph Cugnet*, who had made a preliminary summary in late 1767 or early 1768 and who, at the governor’s request, would later collaborate with Joseph-André-Mathurin Jacrau* and Colomban-Sébastien Pressart* on the compilation known in the colony as the “Extrait des Messieurs,” published in London in 1772–73. At this stage, the home authorities do not appear to have entirely agreed with Carleton. Although the Norton–de Grey opinion of 10 June 1765, the Yorke–de Grey recommendation of 14 April 1766, and the instructions to the governor that were drafted though not sent in June 1766, all reveal that they had likewise been contemplating a fuller use of French laws and customs, they seem to have developed opposing views on the question of representative government. 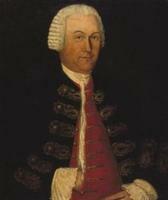 In May 1767 Shelburne advised the calling of an assembly; Carleton’s instructions of 1768 ordered the summoning of one “as soon as the more pressing Affairs of Government will allow”; and in July 1769 the Board of Trade decided it was “necessary in the present State of Quebec, that a complete Legislature should be established.” Carleton thereupon resolved to press his arguments personally. On 1 Aug. 1770, leaving Cramahé as administrator, he embarked for London, where he spent the next four years lobbying for a constitution that would “preserve good Humour and a perfect Harmony” in the colony. The British government’s response was the Quebec Act of 1774 (14 Geo. III, c.83), together with the Quebec Revenue Act (14 Geo. III, c.88) and three sets of instructions issued in 1775. The outstanding difference between the statutes and the proclamation of 1763 is that Quebec was now denied an assembly. Instead, the colony was given a “legislative Council,” whose members would be appointed and might be dismissed by the governor; whose bills he might overrule or reserve for consideration by the home authorities; and whose powers of taxation were limited to the indirect financing of public roads and buildings. Moreover, the policy of anglicization was to be not just retarded, but reversed. Canadians were assured of “their Property and Possessions, together with all Customs and Usages relative thereto, and all other their Civil Rights”; cases relating to “Property and Civil Rights” would be settled according to “the Laws of Canada” only; Roman Catholics would be permitted to hold public office; and the “accustomed Dues and Rights” of the Church of Rome (as well as, by inference, those of the seigneurs) would be enforceable. Finally, much of the commercial empire that had been cut away in 1763 was restored: Quebec would once again comprise the fisheries off the Labrador coast as well as the western fur-trading hinterland down to the junction of the Ohio and Mississippi rivers. It is impossible to estimate the extent to which Carleton was responsible for these arrangements. 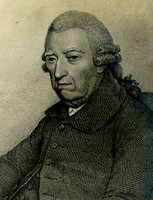 They are in conformity with both the general views he had been expounding for some time and the particular opinions he expressed in his testimony before the House of Commons on 2 and 3 June 1774; and in one negative respect – the decision to omit a provision in the third draft specifically authorizing conversions from seigneurial to freehold tenure – his influence can definitely be traced. But other authorities also played a part, and the contribution of lords Dartmouth, Hillsborough, and Mansfield, and especially of the law officers, James Marriott, Edward Thurlow, and Alexander Wedderburn, should not be depreciated. Besides, in several crucial respects the Quebec Act ran counter to Carleton’s policies. The testimony of Hey and Maseres had raised concerns that were shared by many leading statesmen, including Lord Chatham, Lord John Cavendish, Edmund Burke, Charles James Fox, Thomas Townshend, Isaac Barré, John Dunning, and John Glynn, as well as Lord Effingham and Sir Charles Saunders. Consequently, the use of English criminal law, which Carleton had begun to question and would later regret, was to be mandatory; English property law might be invoked and land granted in free and common socage; the “Laws and Customs of Canada” might be altered through ordinances passed by the governor and council; and provision might be made “for the Encouragement of the Protestant Religion, and for the Maintenance and Support of a Protestant Clergy.” As will be seen, the anglicizing tenor of these arrangements is still more apparent in the governor’s instructions, which would have produced a much less “Canadian” dispensation than Carleton favoured, or than the Quebec Act is often presumed to have instituted. Carleton was not given to explaining his objectives, and one can do little more than speculate on the reasons behind his policies. He could have been trying to furnish Quebec with the laws and institutions he considered appropriate for a society that would always be predominantly Canadian. He could have been hoping to avoid the type of quarrel that had arisen with the Thirteen Colonies. He could have been apprehensive about letting the British immigrants acquire a legislative power they might use against the Canadians. He could have been intent on enforcing order in the west, or cultivating the Indians, or checking American settlement. And his overall strategy could have been to ensure Canadian passivity, at least, in the event of either an attempt by France to retake Quebec or a revolution south of the border. Whatever the reasons behind Carleton’s policies, some of the results were as unwelcome as they had been unforeseen, or at any rate underestimated. Although the seigneurs and clergy were gratified, the habitants, liable once more for both seigneurial dues and ecclesiastical tithes, were actually disquieted, while the merchants, denied both English law and representative government, regarded the Quebec Act “with horror,” and denounced Carleton as “the first contriver & great promoter of this Evil.” On the other hand, although some Canadian habitants and British merchants did join the American insurgents, the majority remained passive, and their behaviour might have been partly due to the indisputable benefits that both communities had received. Most of the Canadians probably realized that their “Property and Civil Rights,” as well as their religion, would be much less secure under the Americans than under the British; and most of the merchants must have known that their natural interests, which had been furthered by the boundary extensions, placed them on the loyal side too. It might well be that the Quebec Act helped to keep Canada British, after all. Carleton’s reaction to these instructions was typically high-handed. Ignoring Dartmouth’s injunction “to persuade the natural born subjects of the justice & propriety of the present form of Government and of the attention that has been shewn to their Interests,” he made up his mind not merely to keep his orders secret, but to resist any movement towards anglicization. Accordingly, when the council, which first met on 17 Aug. 1775, took up Hey’s proposals for reforming the legal system, Carleton sided with the seigneurs and French party against the introduction of habeas corpus, trial by jury in civil cases, and a limited use of English commercial law. 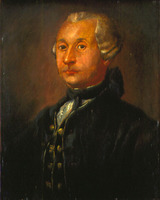 He then prorogued the council, and from 1776 administered Quebec with the advice of a “Board of Council,” which had been authorized in his instructions for transacting business, “Acts of Legislation only excepted.” To this board, known as the governor’s “privy council,” he appointed five councillors whom he thought he could trust: Cramahé, Mabane, Thomas Dunn, John Collins*, and Hugh Finlay. Evidently concerned about the concessions planned for the British colonists, Carleton also modified the legal system envisaged by the home authorities. 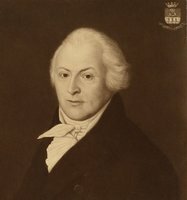 Following their instructions, he established new courts of Common Pleas for the districts of Quebec and Montreal, and ensured that each of them had two British and one Canadian judge. However, his nominees for judicial office revealed his own leanings: Mabane and Dunn, who had been in the old court, were joined on the Quebec bench by Jean-Claude Panet*, while Gabriel-Elzéar Taschereau was appointed to the court at Montreal, along with Peter Livius and William Owen, who had received their commissions in England. Then, as a means of enforcing civil processes, Carleton created six “conservators of the peace,” again choosing men who might be counted on to sympathize with the Canadians: in addition to Mabane, Dunn, Panet, and John (Jean) Marteilhe, he named two other judges of the old Court of Common Pleas – John Fraser and René-Ovide Hertel* de Rouville. And for the first time under the British régime, Roman Catholics were made justices of the peace. Carleton exercised even more discretion in carrying out his ecclesiastical instructions. To reassure Briand, who was upset by a reference in the Quebec Act to the “King’s Supremacy,” he interpreted this term as not implying a denial of the pope’s status as head of the church. 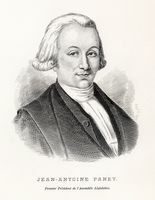 While not acceding to a request by Étienne Montgolfier*, the superior of the Sulpicians in Montreal, that the seminaries be allowed to recruit in France, he did allow two Frenchmen, Arnauld-Germain Dudevant* and Jean-Baptiste Lahaille, to immigrate in 1775, join the Séminaire de Québec, and remain in tile province after ordination. He made light of his duty to confine the powers of the bishops, to oversee the appointments to benefices, and to inspect the religious communities. Rather than suppressing the Jesuits, he established good relations with the superior general, Augustin-Louis de Glapion*, and effectively connived at the continuance of the order in Canada despite its dissolution by the pope. And he was slack to the point of being remiss in “encouraging” the Church of England. 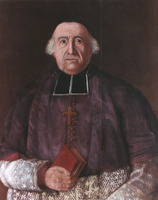 Indeed, although he failed to prevent the collation of two Anglican clergymen – the former Recollet Leger-Jean-Baptiste-Noël Veyssière* and a Swiss Protestant, David-François de Montmollin – to Trois-Rivières and Quebec, he did stop the latter from collecting tithes, and so setting a precedent. As a result of all this forbearance, the Roman Catholic hierarchy, which could have hindered Carleton’s policies, became not merely a neutral but an ally. With the outbreak of the American rebellion and consequent threat of an invasion, Carleton needed all the help he could find. The dispatch of two of his five regiments to Boston during September of 1774, in compliance with a request from Major-General Thomas Gage*, the commander-in-chief, had seriously weakened the colony’s defences. A regiment of British colonists, the Royal Highland Emigrants, was raised, and Carleton revived his plans for a Canadian corps, which again failed to materialize. His main hope, however, was the militia, to which, as he assured both Gage and the home authorities, the people were bound to rally. 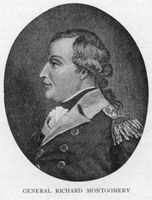 When they failed to do so, he vainly tried to meet Dartmouth’s quota of 6,000 men by proclaiming martial law in June 1775, and two years later, following an investigation of disloyalty in the militia [see François Baby; Edward William Gray], the council passed an ordinance designed to strengthen the government’s authority in imposing military service. But while the militia was enlarged and ultimately proved more than useful, the support expected from the Canadians was never forthcoming. 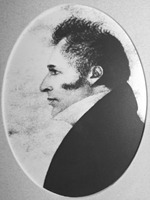 Indeed, many new subjects, such as Maurice Desdevens* de Glandons, Clément Gosselin, and Philippe Liébert, as well as some British and American colonists, including Moses Hazen, James Livingston, Zachary MacAulay*, and Thomas Walker, actively backed the rebels, in certain cases even to the point of joining their army. On 27 June 1775 the second Continental Congress decided to invade Quebec. In accordance with Gage’s orders to defend the Richelieu valley, the historic invasion route, Carleton rushed most of the troops he had at Quebec to Montreal, where he set up headquarters, and at Fort St Johns (Saint-Jean-sur-Richelieu) and Fort Chambly held off Brigadier-General Richard Montgomery* till early November. He was then forced back to the capital, now threatened by another invading army led by Benedict Arnold across Maine. In the ensuing siege, which was to drag on for six months, the only assault on Quebec, during the early morning of 31 December, was repulsed at the cost of no more than 20 British casualties, some 60–100 Americans having been killed or wounded and about 400 captured. Carleton has been both criticized for not having launched an immediate counter-attack and commended for having waited until the arrival of a flotilla bringing reinforcements on 6 May 1776 [see Sir Charles Douglas*]. The home authorities apparently felt much the same: while nominating Carleton for the knighthood he was awarded on 6 July 1776, seven members of the cabinet could not refrain from observing that “some parts of his conduct were doubtful”; and the king, although later granting him the “Government of Charlemount” in Ireland as a sinecure for “his meritorious defence of Quebec,” conceded that “he may be too cold and not so active as might be wished which may make it advisable to have the part of the Canadian Army which must attempt to join Gen. [Sir William] Howe led by a more enterprizing Commander.” This reaction shocked Carleton, who had been promoted general in North America on 1 Jan. 1776, but who now learned that the strategy he had devised, of separating New England from the other colonies, was to be put into effect by Burgoyne, his second in command. On 27 June 1777, offended and disgruntled, he tendered his resignation, which was immediately accepted. 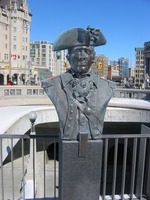 Since his successor, Frederick Haldimand, was unable to arrive for another year, however, Carleton remained in command at Quebec till 27 June 1778. 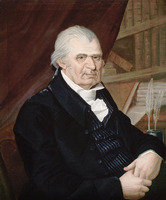 Trouble also occurred in the Legislative Council, which Carleton had finally re-convened in January 1777. Although approved by the attorney general, William Grant, three ordinances dealing with the administration of justice greatly disturbed the British colonists. Not only were English commercial law, jury trials in civil cases, and the writ of habeas corpus still withheld, but the system had been made even more “French”: through the restriction of the Court of King’s Bench to criminal cases, the Court of Common Pleas was left with sole jurisdiction in civil suits (though appeals might be made to the council); and procedure in all the civil courts was to follow French forms (though the English rules of evidence would apply in commercial cases). Chief Justice Livius, who also objected to Carleton’s protracted reliance on the “privy council” and refusal to disclose both their proceedings and such instructions as the councillors had a right to know, was particularly upset. But the airing of his grievances only led to his own dismissal and another proroguing of the Legislative Council. Despite his disenchantment with the Canadians, the governor continued to resist the anglicization of Quebec’s legal system. Carleton left Canada on 30 July 1778. 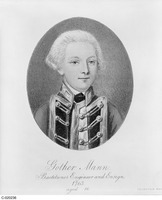 In May 1780 North appointed him to the Commission of Public Accounts, which investigated the government’s financial administration, and two years later, on 2 March 1782, following his recommendation by the king as “the Man who would in general by the Army be looked on as the best officer,” he succeeded Sir Henry Clinton as commander-in-chief in North America. Nemesis now overtook Germain: since he would not agree to this succession without either a retraction or an investigation of Carleton’s charges against him, he was virtually forced to resign. 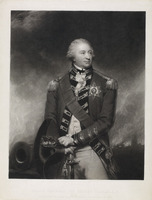 Carleton subsequently asked to be relieved of his command, informing Conway, the commander-in-chief in both the Rockingham and the Shelburne governments, that he was not prepared “only to be employ’d as a mere Inspector of Embarkations” and “will serve no more out of Europe.” However, he was persuaded to stay on by Thomas Townshend, who as Shelburne’s Home secretary had become responsible for colonial affairs. The fretfulness Carleton displayed was probably due to his lack of success as a negotiator. 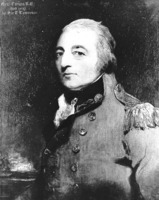 On 21 March he and Rear-Admiral Robert Digby had been named joint commissioners “for restoring peace and granting pardon to the revolted provinces in America,” with instructions “to reconcile and reunite the Affections and Interests of Great Britain and the Colonies.” The French minister in Philadelphia, Pa, was alarmed, reporting that “Sir Guy Carleton was the best choice that England could have made to win back the Americans: he is much respected here on account of his humane and generous conduct when he was Governor of Canada.” But he need not have worried: the Americans were too suspicious of Shelburne’s plans for a “Federal Union,” and Congress rebuffed Carleton’s overtures, in which it discerned “insidious steps” to damage the alliance with France. Whether Carleton and Maurice Morgann, who had been sent out to help, could have behaved more effectively is debatable, but it seems likely that the project was bound to fail from the start. Carleton’s other major concern while at New York, from May 1782 till November 1783, was to evacuate some 30,000 troops and up to 27,000 refugees. 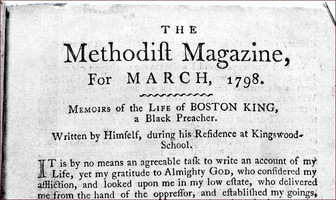 The latter included several thousand former slaves who, over George Washington’s protests, were helped to emigrate to the Caribbean and to Nova Scotia, where about 1,200 settled near Halifax [see Boston King]. 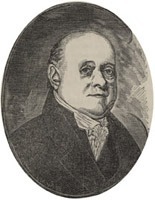 Carleton also urged the lieutenant governor of Nova Scotia, Sir Andrew Snape Hamond, and then the new governor, John Parr*, to grant loyalists free land and a year’s provisions and prompted Haldimand to do the same for those who entered Canada. Early in December 1783 Carleton sailed for England, where he passed the next three years. During this interval Haldimand resigned and Quebec was administered by Lieutenant Governor Henry Hamilton* and then by Lieutenant Governor Henry Hope*. 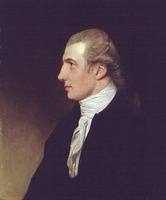 By April of 1786 Townshend, now Lord Sydney and Home secretary in William Pitt’s first government, had accepted the notion of a governor general for the whole of British North America – as suggested by Carleton and William Smith*, formerly chief justice of New York and soon to become chief justice of Quebec, in order to provide the basis for a union of the remaining British colonies. Eventually, however, the government decided to create only a “multiple” governor-in-chief, who would hold separate commissions as governor of Quebec, Nova Scotia, and New Brunswick (each of which was to have its own lieutenant governor as well) and who would be able to exercise his authority over any one of these colonies only when he was in it. Carleton regretted this reduction, and in 1790 and 1793 repeated his call for a proper governor general. Nevertheless, he agreed to return to North America with separate commissions, dated 22 and 27 April 1786; the position of commander-in-chief over all three provinces, as well as Newfoundland; and the title of Baron Dorchester, which was created on 21 Aug. 1786. 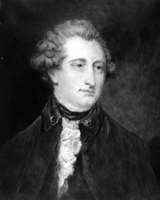 His reputation as both a soldier and a statesman had been damaged, but he could still count on some political support: the king, if a bit disappointed, remained a patron; Rockingham, Shelburne, Conway, and Richmond continued to back him; and although on rather coal terms with William Wyndham Grenville, and coming close to a rupture with Henry Dundas, Dorchester got on fairly well with the other Home secretaries – Sydney, who was his first chief, and the Duke of Portland, his last. On the other hand, his position in Quebec was inherently unstable. Several of his old partisans – Mabane, Fraser, Paul-Roch Saint-Ours, Panet, Baby – were as opposed as always to anything that smacked of anglicization, and the lieutenant governor, Hope, agreed. Others, however – notably Grant, Collins, and Samuel Johannes Holland – had come to accept the need for a more English legal system and often sided with such anglicizers as Smith, Henry Caldwell, Sir John Johnson*, and the attorney general, James Monk*. Although strongly influenced by Smith, Dorchester was not completely won over, and his attempts to balance between these two groups were to prove debilitating. Both Dorchester and Quebec had changed during the eight years he was away. For his part, he had become much less sympathetic to, or perhaps nervous about, the Canadians; and much more understanding, and respectful, of the British colonists. As for the province, the emergence of three interests had created different requirements and alliances. Anticipating a lucrative trade with the British West Indies, from which the Americans would presumably be excluded by the laws of trade and navigation, those merchants who hoped to develop a commerce based on staples other than fur were particularly eager to obtain both English law and an assembly, which they considered prerequisite for the roads, canals, harbours, banks, credit, and taxes they would need. Meanwhile, a rising Canadian bourgeoisie, although intent on retaining their property and civil rights, had come to support the demands for representative government – if for very different reasons. And the loyalists, while apparently not so concerned about an assembly as the merchants, were anxious to secure their lands under free and common socage. 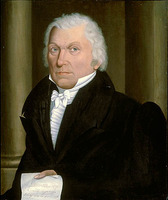 Dorchester had elucidated his views concerning Canada’s economic prospects when testifying on 16 March 1784 before the Committee for Trade, to which Pitt had referred the question of whether American shipping and produce should be admitted to the British West Indies. He agreed with the neo-mercantilists, such as Lord Sheffield, William Knox, and George Chalmers, that national security required the confinement of the colonial carrying trade to the British merchant marine, which served as both a training ground and a reserve for the Royal Navy. But, he added, there was also no reason why the islands should import products from the United States: Quebec and Nova Scotia would be capable of supplying them “to the whole extent both of lumber and provisions before the end of the year 1785.” Impressed by this expert opinion, the Committee for Trade recommended that not only all American ships but also all American products – providing similar products were obtainable “in sufficient plenty, and at reasonable prices” from within the British empire – be barred from the British West Indies. 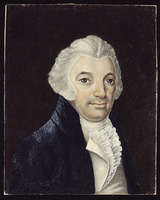 The Pitt government accordingly decided not to continue Shelburne’s liberalizing policy, but to revert to the exclusive principles of the old colonial system. As events showed, however, direct trade between the United States and the British West Indies could not be prevented. Had Dorchester overrated the resources of British North America – or did his testimony involve an ulterior calculation? In the long run, the agricultural development of western Quebec did produce a quantity of staples. But whether or not Dorchester foresaw this outcome, his contention that adequate supplies would be forthcoming within two years’ time implies something else: that he was banking, in the short run, on the trans-shipment of American products via the St Lawrence. In other words, he might have been endorsing a restrictive policy on the eastern seaboard because he was prescribing a liberal one in the western hinterland – and so was attempting not only to uphold the mercantilist practices on which British seapower depended, but also to preserve the economic integrity of the Ohio and Mississippi basin. To achieve these ends, Dorchester effectively limited the British government’s order in council of 24 March 1786, which prohibited the importation of American products into “any of the ports of the Province of Quebec,” by defining “ports” as “seaports.” Then, on 18 April 1787, he issued an order allowing the free exportation of all Canadian products (except furs) to the United States, and the free importation of certain American products (lumber, naval stores, and some foodstuffs) into Quebec by way of Lake Champlain and William Henry (Sorel). On 27 April 1787 the council passed an ordinance freely admitting pot and pearl ash, as well as tobacco, along the same route; on 14 April 1788, after the home authorities had decided to leave the regulation of inland trade to the colonial government, Dorchester’s order of the previous year was confirmed by another ordinance; and on 12 April 1790 a third ordinance added pig-iron to the list of imports exempted from duties. Finally, following a request by the governor and council that all products freely imported from the United States into Quebec be freely allowed into imperial markets, Westminster enacted a statute (30 Geo. III, c.29, 1790) that treated American products sent by way of the St Lawrence to Britain as if they were of Canadian origin. But this is as far as Dorchester got: the crucial concession of free access for those products to the British West Indies was not granted; and partly for that reason – though mainly, no doubt, because the Quebec merchants were just too distant and isolated, as well as inexperienced and inefficient – his grand scheme of a Caribbean monopoly remained a pipe-dream. On a more modest scale, however, much was done to improve both economic and social conditions. Some of the restrictions on transportation through the Great Lakes were removed; arrangements were made to settle debts incurred in wartime; during the “Hungry Year” of 1788–89, when a poor harvest led to food shortages, an embargo was placed on the export of grain and other foodstuffs; the Agriculture Society was founded to inculcate better farming methods; the postal service to London, deprived of its New York link during the American revolution, was reoriented through New Brunswick and Halifax; a bridge was built across the Rivière Saint-Charles; and following the reports of three committees established by the governor in the autumn of 1786, ordinances were passed to regulate the militia, the police, medical practitioners, river pilots, suppliers of horses and carriages, and retailers of wines and spirits. Although Dorchester may not have been directly responsible for all these achievements, some of which were clearly inspired by others [see Hugh Finlay; David Lynd], he at least sanctioned them. 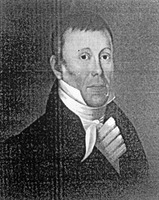 And he continued his patronage of the loyalists, setting up administrative districts in the area southwest of Montreal, providing each district with salaried judges as well as a land board to supervise settlement, and – most surprisingly, in view of his former policy – urging the home authorities to permit grants of land in freehold, thus paving the way for the reintroduction of English tenure in 1791. 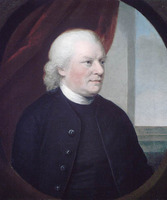 Dorchester’s ecclesiastical policy, which continued along the lines he had laid down during his previous administration, also contributed to the well-being, or at least the stability, of the colony. 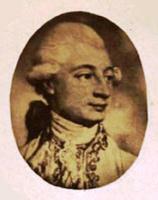 Admittedly, his designation of Charles-François Bailly* de Messein as coadjutor in 1788, after Jean-François Hubert* had succeeded d’Esgly as bishop, led to some discord within the Roman Catholic hierarchy; and Dorchester seems to have been particularly disappointed by the failure of the plans, proposed by Smith and favoured by Bailly, for a non-sectarian university. On the other hand, by permitting a number of émigré priests from France to enter the colony after 1791, the governor gained influential support for the British régime, while at the same time helping the sorely depleted clergy to perform their social as well as religious role. In contrast to his involvement in economic and social affairs, Dorchester was singularly detached, if not inert, in the matter of legal reform. Disillusioned, uncertain, and irresolute, he apparently decided to let the committee on justice, which he had also established in the autumn of 1786, wrestle with the problem. On one side were Smith and Finlay; on the other, Mabane, Saint-Ours, and Thomas Dunn; in between, John Fraser. The furore over Smith’s judgement in Grant v. Gray, delivered on 29 Dec. 1786, epitomized the difference of views. In general, Smith reasoned that the Quebec Act “was not meant to exclude English laws,” which should accordingly govern causes between the “natural born subjects of Great Britain”; moreover, now that the writ of habeas corpus and trial by jury in civil suits had been instituted – respectively under Haldimand in 1784 and Hamilton in 1785 – it was time to anglicize the legal system further, starting with commercial cases. The proponents of the “charter theory” of the Quebec Act disagreed: with the possible exception of the loyalist districts in the west, Canada should be kept as Canadian as possible; indeed, not only should the essential principles of French jurisprudence be reaffirmed, but both the use of English rules of evidence in commercial cases and the right to jury trials in civil suits ought to be discontinued. These differences – which induced Smith and Saint-Ours to propose conflicting bills in March 1787, when the ordinance that permitted jury trials was due to expire – were carried to an extreme in April 1787 by Attorney General Monk. His open advocacy of both legal and governmental anglicization, accompanied by his public censure of certain judges, prompted an indignant appeal to the governor from Mabane, Fraser, and Panet, and Dorchester was forced to intervene – though not before renewing the ordinance permitting jury trials, as amended by Smith. But although the inquiry he ordered furnished ample evidence of the complexity and uncertainty of the law, as well as establishing the arbitrary conduct of certain judges, nothing came of it. 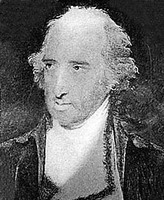 Dorchester merely passed on the records to Sydney who, despite the protestations of Adam Lymburner* on behalf of the merchants, did no more than replace Monk with Alexander Gray as attorney general. By now it had become apparent that a fundamental revision of Quebec’s governmental system was unavoidable. Not only were the demands for an assembly more clamorous than ever, but the home authorities were predisposed to listen. Their attitude, while doubtless entailing some political principles, was most likely precipitated by practical economics: the administration of Canada was costing Britain more than £100,000 a year; the proceeds obtained under the Quebec Revenue Act were insufficient; because of the renunciation implied in the Colonial Tax Repeal Act of 1778 (18 Geo. III, c.12), it was unacceptable to tax a colony directly; and therefore an assembly was indispensable. But it must somehow be made acceptable to those Canadians who were afraid that the British colonists might be inadequately restrained, to those British colonists (including Monk) who conversely feared that the Canadians might get out of hand, and to everybody who objected to increased taxes. And looming over all these considerations was the shadow of the American revolution, which had seemed to demonstrate that a colony with representative government became increasingly refractory and eventually independent. The British government tried to resolve the predicament with the Constitutional Act of 1791 (31 Geo. III, c.31). This statute was based on an expedient that became standard practice for colonies with irreconcilable social differences – partition. Quebec would be divided into two provinces: “Lower Canada” for the Canadians; “Upper Canada” for the British colonists. With each group thus assured of its not being dominated by the other, both could be granted assemblies, which would be able to impose taxes. At the same time, to prevent these assemblies from evolving into the too powerful legislatures that had fomented the revolt of the Thirteen Colonies, they would be subject to the sort of checks and balances that applied at Westminster: upper houses, with the power to refuse hills, would be imposed; the governors, provided with secure sources of income and ample powers of patronage, would also have a power of disallowance; and the British government would have a third veto. In addition, both Canadas would be socially assimilated to Great Britain: while French laws and customs would be continued in Lower Canada, freehold tenure would be available there as well; only English common law would be allowed in Upper Canada; the “Protestant” religion would be encouraged in both provinces by the setting aside of clergy reserves and endowment of Church of England parsonages; and provision would be made for a hereditary membership in the upper houses, and so for the foundation of a British North American aristocracy. In devising these solutions, the home authorities received little help from Dorchester. Whether because of his distrust of the Canadians, wariness of the British colonists, dislike of representative government, or preference for conciliar rule, he advised no more than a modification of the existing structure. Confessing to Sydney in June 1787 that he was “as yet at a loss for any plan likely to give satisfaction, to a people so circumstanced as we are at present,” he added in November 1788 that partition was “by no means adviseable at present.” If it must be done, he could “see no reason, why the inhabitants of those western districts should not have an Assembly, as soon as it may be organized without detriment to their private affairs, nor against their having so much of the English system of laws, as may suit their local situation, and condition.” But he did not think either of these innovations suitable for the rest of Canada, and warned that even in the west, “particular care should be taken to secure the property and civil rights of the Canadian settlers of Detroit.” Encountering such an indeterminate and chary attitude, William Grenville, who succeeded Sydney as Home secretary in June 1789, decided to go ahead on his own and so, possibly under the influence of Lymburner and Maseres, contrived the Constitutional Bill. Dorchester did not remain entirely outside the discussions, however, and it may be that his contribution to constitutional developments in 1791 has been as underestimated as his impact in 1774 is exaggerated. 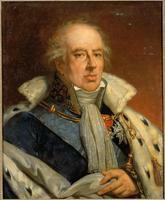 On 8 Feb. 1790 he abandoned his initial reticence and tendered advice on a number of subjects, including the distribution of seats in the assemblies, the qualifications for members and electors, the implementation of freehold tenure, the conversion from tenure in fief, the reservation of crown lands, the disposition of the District of Gaspé, and the union of British North America under a governor general. Moreover, he seems to have been at least partly responsible for two decisions of some consequence: in November 1788 he had suggested to Sydney that if partition could not be avoided, the line of separation should be drawn along the Ottawa River, so as to place not only the western seigneuries but also Montreal within the lower province; and in February 1790 he told Grenville that since “the fluctuating state of Property in these Provinces” made a hereditary upper house inappropriate at that time, “it would seem more advisable to appoint the members during life, good behaviour, and residence in the province.” The British government’s acceptance of both these ideas meant that Upper Canadians were deprived of a seaport (and so of the ability to raise their own duties on goods imported by sea), and that Lower Canadian society included an economically, socially, and politically dominant British minority. But at least British North America, if saddled with a natural oligarchy, was spared an artificial aristocracy. 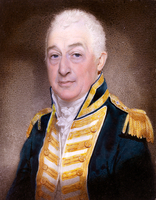 On 18 Aug. 1791, before the Constitutional Act came into force (on 26 December), Dorchester sailed for England on leave, entrusting the administration of Lower Canada to Lieutenant Governor Sir Alured Clarke* until his return two years later, on 24 Sept. 1793. 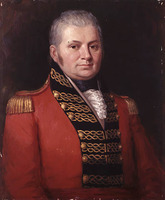 In the mean time, John Graves Simcoe had become lieutenant governor of Upper Canada, an office that made him subordinate to Dorchester in the latter’s capacity both as commander-in-chief and (though in a less clearly defined way) as governor-in chief. Temperamentally incompatible, the two men were soon at loggerheads over matters ranging from supervision of the Indians and operation of the commissariat through the choice of a capital for the western province to the lieutenant governor’s independent ways and habit of appealing directly to the home authorities. 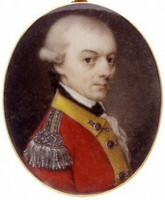 The principal subject of discord, however, was defensive policy, which Simcoe linked to settlement in his plans for a string of fortified towns. Arguing variously that the costs were too high, that the Americans might be alarmed, and that the defences of the city of Quebec would be dangerously weakened, Dorchester frustrated these plans by refusing to provide the requisite troops. Despite several appeals from a bemused Portland, who had replaced Dundas in July, Dorchester declined to reconsider his resignation. However, two years passed before the arrival of his successor, Lieutenant-General Robert Prescott, and notwithstanding his declared intention to “contract my interference within as narrow limits as possible,” his influence continued to be felt. 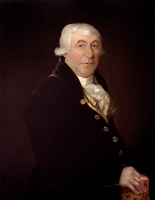 Although not directly involved in the negotiations leading to Jay’s Treaty – which reflected his policy of free trade in the interior and mercantilism on the seaboard – he was responsible for executing its terms, and so oversaw both the evacuation of the western forts and the resettlement of those Indians who wished to live in British territory. 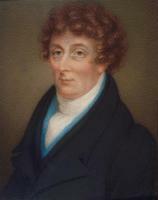 In September 1795 he again tried to alleviate the distress resulting from a crop failure by proclaiming an embargo on the export of food; the following year he established a precedent by laying a statement of the crown’s provincial revenue and annual expenditure before the legislature; he finally started to plan for the maintenance of a Protestant clergy; and he made a number of appointments, including those of William Osgoode*, as the new chief justice, and James Monk, to the Court of King’s Bench at Montreal (both having agreed to relinquish the customary fees). Then on 9 July 1796 Dorchester left Canada for good. During the last years of his life, he kept up his military connections. Having been promoted major-general on 25 May 1772 and lieutenant-general on 29 Aug. 1777, he had become a general of the army on 12 Oct. 1793; he had also been made colonel of the 47th Foot on 2 April 1772, transferring to the 15th Dragoons on 16 July 1790. Back in England, he moved to the 27th Dragoons on 18 March 1801, and then to the 4th Dragoons on 14 Aug. 1802. Most of his time, however, was spent in the countryside, where he had acquired three houses: Greywell Hill, Basingstoke, the present family seat; Kempshot House, close by; and Stubbings House, near Maidenhead, where he died in his 85th year. The barony of Dorchester became extinct with the death of the 4th baron on 18 Nov. 1897, and although another barony was granted to Henrietta Anne Carleton, a cousin of the 4th baron, on 2 Aug. 1899, it too became extinct with the death of the 2nd baron on 20 Jan. 1963. As a statesman, he will probably always be something of an enigma. Almost morbidly secretive (he had his wife destroy all his personal papers), he so coloured his accounts that his calculations, let alone motives, are peculiarly difficult to discover. Yet perhaps a general pattern can be discerned. It seems to have been Carleton’s preoccupation with security during his first administration, between 1766 and 1778, that made him pander to the Canadians, and particularly to the seigneurs and clergy. But his favourable attitude towards them does not necessarily imply, as is commonly assumed, that he found the British colonists, as Murray had, innately antipathetic; on the contrary, there are indications that Carleton felt some sympathy for the latter from the start. 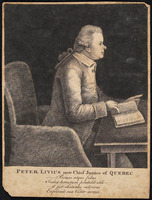 At any rate, by the time of his second governorship, between 1786 and 1796, he had decided both that the Canadians could not be relied on to support the British régime and that Quebec was not destined to remain predominantly Canadian “to the end of Time.” And it might have been these calculations, rather than any sort of conversion, as is also commonly assumed, that made him willing not only to assist the loyalists and merchants, but to accept some anglicization of the legal system. The introduction of an assembly, however, was another matter, and in his consistent opposition to that, Carleton may well have revealed the essence of his character as well as his politics: he was an autocrat, instinctively against representative government – and not just for the Canadians but probably, despite his disclaimers, for the British colonists as well. If it was really unavoidable, it should take a much more conservative, and stable, form than that under which the Thirteen Colonies had been, as Smith deplored, “abandoned to Democracy.” But everyone would be much better off under his own system of conciliar administration. It is even more difficult to assess Carleton’s policies than it is to explain them. Attempts to do so have usually been made with reference to the relations between Canada’s “two founding peoples” or in terms of a putative struggle between “insurgent commercial capitalism and a decadent and desperately resisting feudal and absolutist state”; and to an unusual degree tire resulting judgements have tended to reveal subsequent, more than contemporary, concerns. Yet again, some general conclusions might be ventured. Certain of Carleton’s calculations were clearly based on faulty premises: Quebec was not a feudal society, and the habitants could not be conciliated by catering to the seigneurs and clergy; the merchants could not function efficiently without laws and institutions that were familiar, certain, practical, and auxiliary; and neither the British colonists nor the Canadians could be indefinitely denied some form of representative government. Carleton’s limitations and errors in such cases, however, do not detract from his insights and accomplishments in others. His protection and sponsoring of the loyalists, his grasp of Canada’s economic potential, and his vision of a united British North America ail testify to his statesmanship. And whatever critics might think of the way he attempted to conciliate the Canadians, it could well be, as the citizens of Montreal alleged on his departure, that his “prudence and moderation” did assure “internal peace and tranquillity,” on the whole. Certainly his principal, and most controversial, legacy was the Quebec Act – or rather, the administrative system he created on the basis of this act. 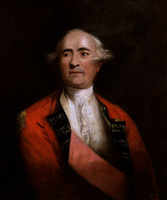 Amidst the amazing variety of interpretations concocted by historians, there is agreement in one respect: between 1770 and 1786 a turning-point occurred in the history of both Canada and the British empire, and Guy Carleton, for better or worse, was to a large extent responsible for it. Although Murray had made allowance for the distinctive needs and wants of the Canadians, it was still possible, and in 1770 seemed probable, that the British government would promote the anglicization of Quebec, as it had invariably done in the case of conquered colonies. Whether such a course was preferable to the one Carleton charted – whether a more balanced mixture of anglicization and conservation would have been possible, and better – is open to question. What cannot be denied is that by bolstering French laws and Canadian customs and institutions, Carleton enabled them not just to survive, but to flourish. And although it might be argued that the “charter view” of the Quebec Act has been overstated, it does seem that a groundwork was laid for the special status that many French Canadians have claimed up to the present day. In so far as he can be held accountable for this groundwork, Carleton may be praised, or blamed, accordingly. From an imperial perspective, the consequences of the Quebec Act have also been both far reaching and controversial. 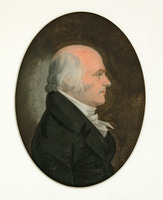 By encouraging the use of French principles and practices, Carleton developed the precedent established by Murray into a model for other colonies in which foreign populations had to be conciliated. Moreover, his administrative system served as a prototype for a new form of colonial government: starting with St Domingo (Haiti) in 1794, “crown colony” government, as it was later called, became a standard form for not only conquered but settled colonies. And with this alternative available for dependencies that were considered unready or unsuitable for representative institutions, the way was cleared for others to develop “responsible government.” The evolutionary process by which members of the second British empire attained their independence thus owes something, however paradoxically, to Guy Carleton’s administration of Quebec. BL, Add. mss 21697–700, 21743, 21806, 21808, 21864 (copies at PAC). Hampshire Record Office (Winchester, Eng. ), Reg. of baptisms, marriages, and burials for the parish of Nately Scures, 16 Nov. 1808, Library of Congress (Washington), Continental Congress papers, nos.35, 41–43, 58, 78, 154, 166 (copies at PAC). PAC, MG 23, A1; A4, 14, 16, 18, 20, 29–30; A6; A8; GI, 5; GII, 6; 9; 14, vols.2, 7;15; 19, vol.3; HI, 1; MG 40, B1, 3, 6–10, 13, 15, 17; RG 1, E1, 19, 28–31, 43, 46–47, 105–15; RG 4, B3, 1; B6, 2–6; B9, 9; RG 7, G5, 1; RG 14, A1, 1, 3, 7; A3, 3–7; RG 68, 90, 93, 95. PRO, CO 42/26–107; PRO 30/55; WO 1/11; 1/14 (mfm. at PAC). [Ainslie], Canada preserved (Cohen). American arch. (Clarke and Force), 4th ser., vols.3, 4. Annual reg. (London), 1758–91. Blockade of Quebec in 1775–1776 by the American revolutionists (les Bastonnais), ed. F. C. Würtele (Quebec, 1906; repr. Port Washington, N.Y., and London, 1970). British colonial developments, 1774–1834: select documents, ed. V. T. Harlow and A. F. Madden (Oxford, 1953). “Collection Haldimand,” PAC Rapport, 1885–88. A collection of several commissions, and other public instruments, proceeding from his majesty’s royal authority, and other papers, relating to the state of the province in Quebec in North America, since the conquest of it by the British arms in 1760, comp. 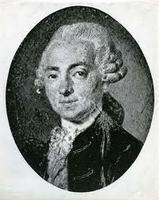 Francis Maseres (London, 1772; repr. [East Ardsley, Eng., and New York], 1966). The correspondence of King George the Third from 1760 to December 1783 . . . , ed. J. [W.] Fortescue (6v., London, 1927–28; repr. 1967). Corr. of Lieut. Governor Simcoe (Cruikshank). ... Jacob Danford, “Quebec under siege, 1775–1776: the ‘memorandums’ of Jacob Danford,” ed. J. F. Roche, CHR, 50 (1969): 68–85. Docs. relating to constitutional hist., 1759–91 (Shortt and Doughty; 1907); 1791–1818 (Doughty and McArthur; 1914). [Hugh Finlay], “Journal of the siege and blockade of Quebec by the American rebels, in autumn 1775 and winter 1776,” Literary and Hist, Soc. of Quebec, Hist. Docs. (Quebec), 4th ser. (1875): –25. G.B., Parl., Debates of the House of Commons in the year 1774, on the bill for making more effectual provision for the government of the province of Quebec, drawn up from the notes of Sir Henry Cavendish . . . (London, 1839; repr. [East Ardsley and New York], 1966); The parliamentary register: or history of the proceedings and debates of the House of Commons (and House of Lords) containing the most interesting speeches . . . (112v., London, 1775–1813). “Journal par Baby, Taschereau et Williams” (Fauteux), ANQ Rapport, 1927–28: 435–99;1929–30: 138–40. Knox, Hist. journal (Doughty); The justice and policy of the late act of parliament for making more effectual provision for the government of the province of Quebec . . . (London, 1774). [Francis Maseres], An account of the proceedings of the British, and other Protestant inhabitants, of the province of Quebeck, in North-America, in order to obtain an house of assembly in that province (London, 1775); Additional papers concerning the province of Quebeck: being an appendix to the book entitled, “An account of the proceedings of the British and other Protestant inhabitants of the province of Quebeck in North America [in] order to obtain a house of assembly in that province” (London, 1776); Maseres letters (Wallace). Naval documents of the American revolution, ed. W. B. Clarke and W. J. Morgan (8v. to date, Washington, 1964– ), 4–6. “Ordonnances édictées pour la province de Québec par le gouverneur et le conseil de celle-ci, de 1768 à 1791 . . . ,” PAC Rapport, 1914–15. “Ordonnances faites pour la province de Québec par le gouverneur et le conseil de la dite province depuis le commencement du gouvernement civil,” PAC Rapport, 1913: 90–91, The parliamentary history of England from the earliest period to the year 1803, comp. William Cobbett and John Wright (36v., London, 1806–20), 17–19. “Proclamations du gouverneur du Bas-Canada, 1792–1815,” PAC Rapport, 1921. “Proclamations issued by the governor-in-chief . . . ,” PAC Report, 1918. Reports on the laws of Quebec, 1767–1770, ed. W. P. M. Kennedy and Gustave Lanctot (Ottawa, 1931). Quebec Gazette, 1766–96. ... G.B., WO, Army list, 1740, 1755, 1758, 1761,1763–66, 1770–72, 1777–78, 1789–1808. “Papiers d’État – Bas-Canada,” PAC Rapport, 1890, 1891. Pierre Benoît, Lord Dorchester (Guy Carleton) (Montréal, 1961). J. G. Bourinot, Canada under British rule, 1760–1900 (Cambridge, Eng., 1900). A. G. Bradley, Lord Dorchester (Toronto, 1907; new ed. under the title Sir Guy Carleton (Lord Dorchester), ). 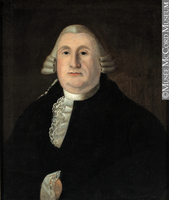 G. S. Brown, The American secretary; the colonial policy of Lord George Germain, 1775–1778 (Ann Arbor, Mich., 1963). Michel Brunet, Les Canadiens après to Conquête, 1759–1775: de la Révolution canadienne à la Révolution américaine (Montréal, 1969). 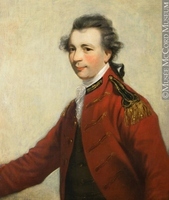 A. L, Burt, Guy Carleton, Lord Dorchester, 1724–1808 (Ottawa, 1955); Old prov. of Que. (1968); “The problem of government, 1760–1775,” The Cambridge history of the British empire (8v., Cambridge, 1929–59; repr. of vols.1–2, 1960–61), 6: 146–72; The United States, Great Britain and British North America from the revolution to the establishment of peace after the War of 1812 (Toronto and New Haven, Conn., 1940). Chapais, Cours d’hist. du Canada. Christie, Hist. of L.C., vol.1. Victor Coffin, The province of Quebec and the early American revolution; a study in English-American colonial history (Madison, Wis., 1896). Reginald Coupland, The Quebec Act; a study in statesmanship (Oxford, 1925). Craig, Upper Canada. Creighton, Commercial empire of St. Lawrence. F.-X. Garneau, Histoire du Canada depuis sa découverte jusqu’à nos jours (4v., Québec, 1845–52). M. H. Gorn, “To preserve good humor and perfect harmony: Guy Carleton and the governing of Quebec, 1766–1774” (phd thesis, Univ. of Southern Calif., Los Angeles, 1978), G. S. Graham, British policy and Canada, 1774–1791; a study in 18th century trade policy (London and New York, 1930); Sea power and British North America, 1783–1820: a study in colonial policy (Cambridge, Mass., 1941). Lionel Groulx, Vers l’émancipation (première période); cours d’histoire du Canada à l’université de Montréal, 1920–1921 (Montréal, 1921). V. T. Harlow, The founding of the second British empire, 1763–1793 (2v., London and New York, 1964). A history of the organization, development and services of the military and naval forces of Canada . . . (3v., n.p., n.d.).. ... W. P. M. Kennedy, The constitution of Canada; an introduction to its development and law (London, 1922).William Kingsford, The history of Canada (10v., Toronto and London, 1887–98). 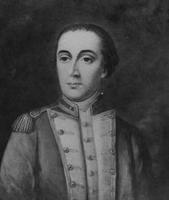 P. E. Leroy, “Sir Guy Carleton as a military leader during the American invasion and repulse in Canada, 1775–1776” (phd thesis, 2v., Ohio State Univ., Columbus, 1960). Duncan McArthur, “The new régime,” Canada and its prov. (Shortt and Doughty), 4: 21–49. Piers Mackesy, The war for America, 1775–1783 (Cambridge, 1964). John Mappin, “The political thought of Francis Maseres, 1766–69” (ma thesis, McGill Univ., Montreal, 1968). Neatby, Administration of justice under Quebec Act; Quebec; The Quebec Act: protest and policy (Scarborough, Ont., 1972). John Norris, Shelburne and reform (London, 1963). Ouellet, Bas-Canada; Hist. économique. P. R. Reynolds, Guy Carleton: a biography (Toronto, 1980). John Shy, Toward Lexington: the role of the British army in the coming of the American revolution (Princeton, N.J., 1965). 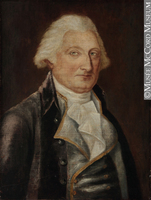 P. H. Smith, “Sir Guy Carleton: soldier-statesman,” George Washington’s opponents: British generals and admirals in the American revolution, ed. G. A. Billias (New York, 1969), 103–41. 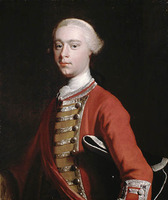 C. P. Stacey, Quebec, 1759: the siege and the battle (Toronto, 1959). L. F. S. Upton, The loyal whig: William Smith of New York & Quebec (Toronto, 1969). 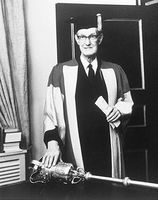 A. C. Valentine, Lord George Germain (Oxford, 1962). 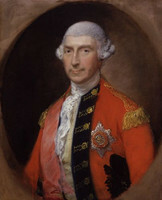 Rex Whitworth, Field Marshal Lord Ligonier: a story of the British army, 1702–1770 (Oxford, 1958). W. [C. H.] Wood, The father of British Canada: a chronicle of Carleton (Toronto, 1916). G. M. Wrong, Canada and the American revolution; the disruption of the first British empire (New York, 1935).. ... Elizabeth Arthur, “French Canadian participation in the government of Canada, 1775–1785,” CHR, 32 (1951): 303–14. H. R. Balls, “Quebec, 1763–1774: the financial administration,” CHR, 41 (1960): 203–14. 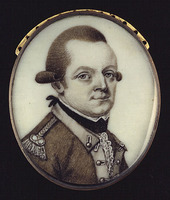 R. A. Bowler, “Sir Guy Carleton and the campaign of 1776 in Canada,” CHR, 55 (1974): 131–40. A. L. Burt, “The quarrel between Germain and Carleton: an inverted story,” CHR, 11 (1930): 202–22; “Sir Guy Carleton and his first council,” CHR, 4 (1923): 321–32; “The tragedy of Chief Justice Livius,” CHR, 5 (1924): 196–212. 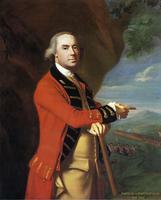 Jane Clark, “The command of the Canadian army for the campaign of 1777,” CHR, 10 (1929): 129–35. R. A. Humphreys and S. M. Scott, “Lord Northington and the laws of Canada,” CHR, 14 (1933): 42–61. L. P. Kellogg, “A footnote to the Quebec Act,” CHR, 13 (1932): 147–56. M. G. Reid, “The Quebec fur-traders and western policy, 1763–1774,” CHR, 6 (1925): 15–32. Rev. of Hist. Pubs. relating to Canada (Toronto), 1 (1896): 68–80. P. H. Smith, “Sir Guy Carleton, peace negotiations, and the evacuation of New York,” CHR, 50 (1969): 245–64. William Smith, “The struggle over the laws of Canada, 1763–1783,” CHR, 1 (1920): 166–86. F. H. Soward, “The struggle over the laws of Canada, 1783–1791,” CHR, 5 (1924): 314–35..
G. P. Browne, “CARLETON, GUY, 1st Baron DORCHESTER,” in Dictionary of Canadian Biography, vol. 5, University of Toronto/Université Laval, 2003–, accessed April 26, 2019, http://www.biographi.ca/en/bio/carleton_guy_5E.html.